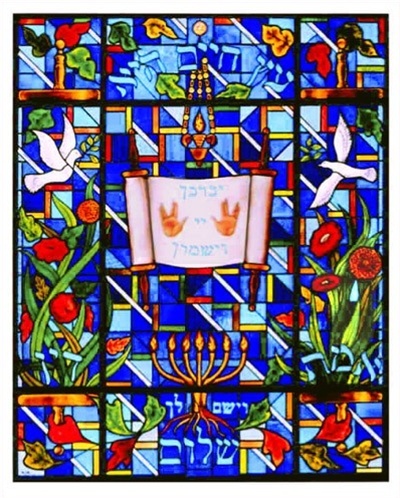 Within the inner Torah scroll, the beginning of the Priestly Blessing, "May the Lord bless and keep you," is found between the hands of the Cohen (priest). The final part of the blessing is located in the bottom of the piece, "...and give you peace." 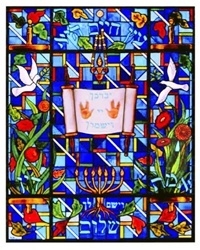 Above and beneath the Torah scroll, the eternal flame and menorah present shining reflections of light into our world. 17" x 22.25". Limited Edition lithograph, artist numbered and signed.